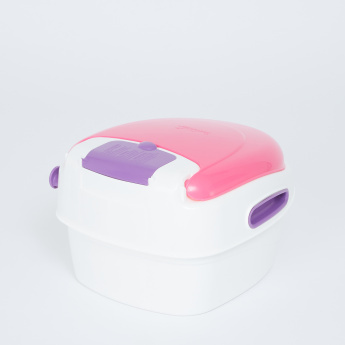 Save SAR 0 (0%) Earn 84 Shukrans What is Shukran? Shukran is the Landmark Group’s award-winning loyalty programme in the Middle East, which allows you to earn Shukrans when you shop any of our brands. 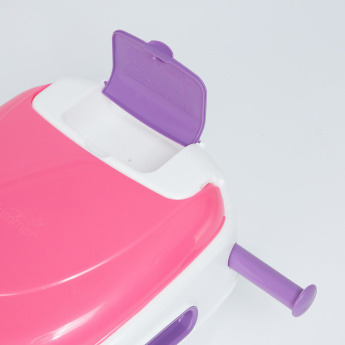 Build confidence and encourage clean potty habits in your child with the help of this potty trainer. 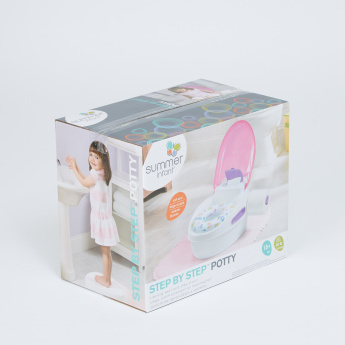 This stand-alone potty trainer with a soft seat is comfortable for your child to use and comes with a removable toilet topper with a step stool for easy access.